I was at the doctor the other day and he spent 45 minutes trying to convince me to go vegan. To ward off inflammation. Do you think this is what he had in mind? 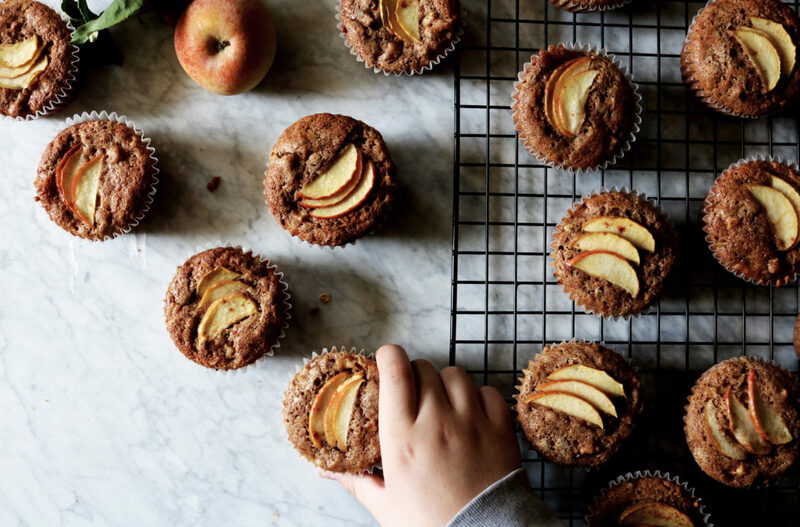 These apple cinnamon muffins are so easy + delicious, it breaks down like this… Whip up your wet ingredients (think buttermilk, sour cream, eggs + oil) and then fluff together your dry (the usual suspects: all-purpose flour, white whole wheat flour, baking powder, salt + hella spices) and then marry them together. Next we fold in chopped apples glistening with citrus, brown sugar + cinnamon. Easy. 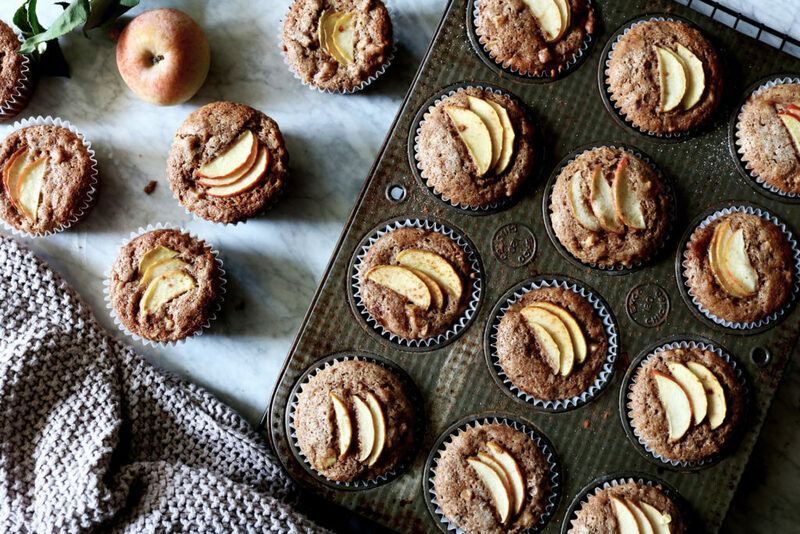 This muffin is loaded with apples and has an interior light as air.. Heaven. We finish them off with a sprinkle of sugar + cinnamon and a drizzle of fresh squeezed lemon that gives the top the slightest crunch that’s positively toe curling. This is good. Peeling Apples. Don’t bother here unless it’s something you’re partial to. We didn’t feel it was needed. Room Temperature. Make sure all of your wet ingredients (eggs, sour cream, buttermilk, etc.) 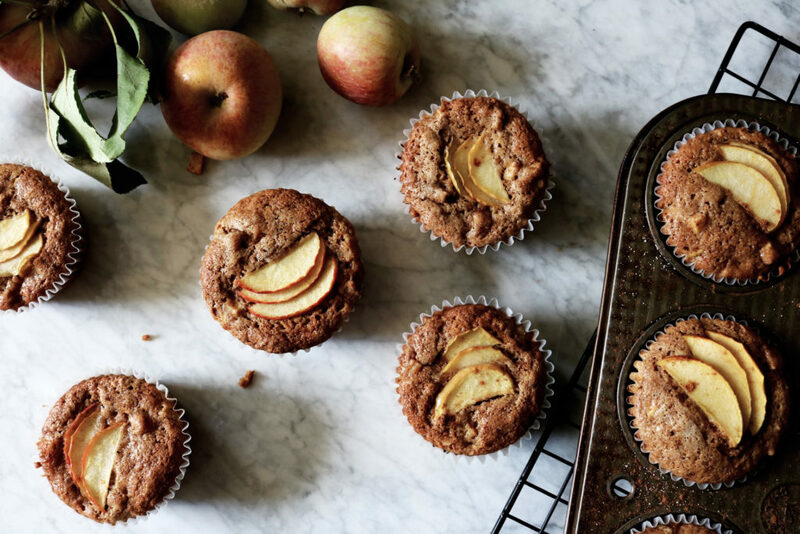 are at room temperature…they’ll mix better, more completely and will give your muffins more rise. DO IT. White Whole Wheat Flour. 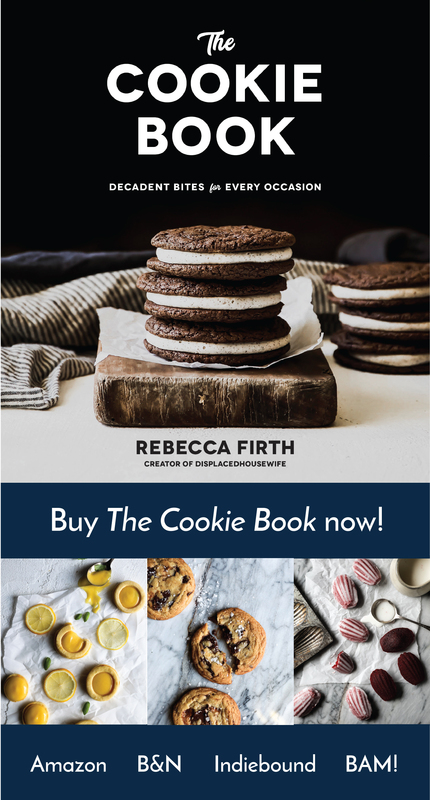 I love this flour and use it all the time…in my cookies, in waffles, in pancakes… I like to use it for a percentage of the flour in lots of these recipes not because it’s healthy (don’t be silly), but because it lends this really wonderful taste + texture + fluffiness to whatever it touches. I highly recommend you get yourself some. 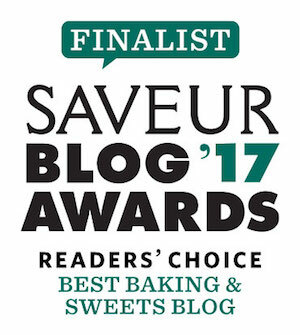 I have not tested this with 100% all-purpose flour nor have I tested it with regular whole wheat flour. When you swap out flours it will change the texture + density of your muffin. *IF* you do any swaps, would you let us know in the notes below how they go? Thanks!! Freezing Muffins. Did you know that you could get your muffins ready all the way to the point of just prior to baking (and in the muffin tin), shove them in the freezer and then once frozen solid put the muffins in a resealable freezer-safe plastic bag? 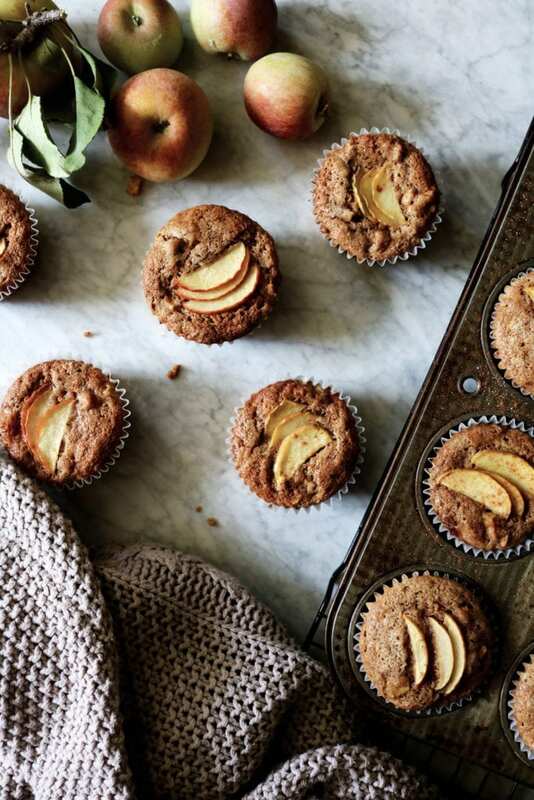 You can have apple cinnamon muffins on demand, anytime you want? Pass me some champagne, this is how I want to live. You would need to use muffin liners, if you choose to do this. When it’s time to bake, they will go straight from the freezer to the oven. Be sure to tack on extra bake time so they cook through completely. In a small bowl, toss your diced apples with the lemon juice + zest, orange juice + zest, brown sugar and cinnamon. Set aside. In a large bowl whisk together your brown sugar, granulated sugar, vegetable oil, sour cream, buttermilk, water, eggs and vanilla until well blended. In a medium bowl whisk together the all-purpose flour, white whole wheat flour, baking powder, baking soda, sea salt, cinnamon, ginger, cloves, nutmeg, all spice and cardamom. Add the dry ingredients to the wet ingredients and mix until barely blended. 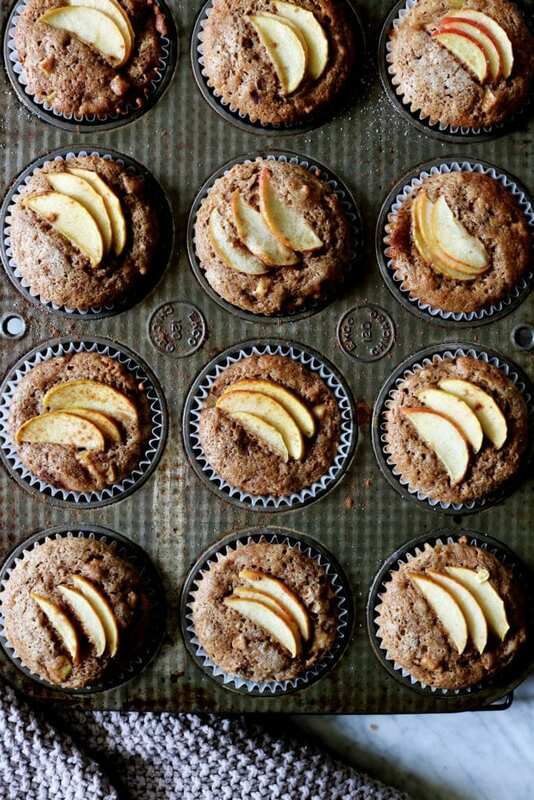 Add the diced apples (and walnuts, if using) and gently fold into the muffin batter in as few strokes as possible. *A note from Stella: Make sure that while you don’t over mix the batter, you get the apples evenly distributed throughout so that each bite is an apple party. Scoop the batter into the muffin liners and filling until just barely ¾ full. Bake for 20 minutes in the top third of the oven or until a toothpick comes out clean. 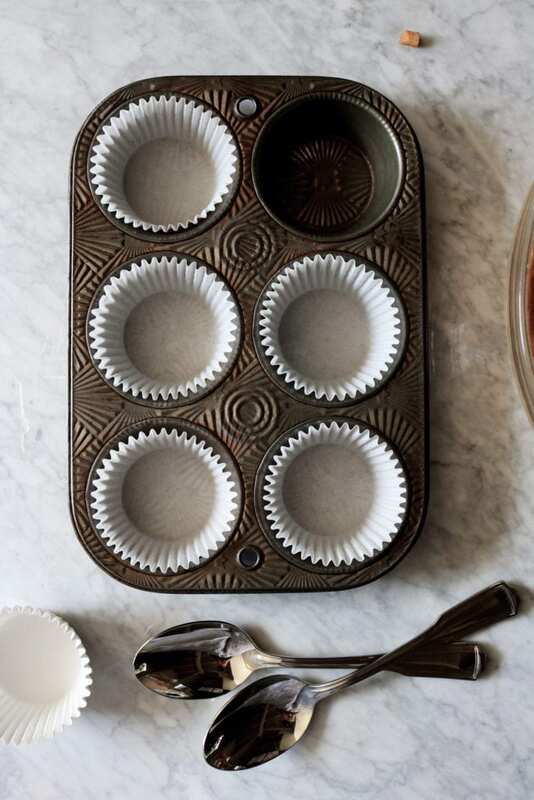 Let cool in the muffin tin for about 10ish minutes, then use a butter knife to help get them out to finish cooling on a rack. Store airtight…they’ll keep for a couple of days. 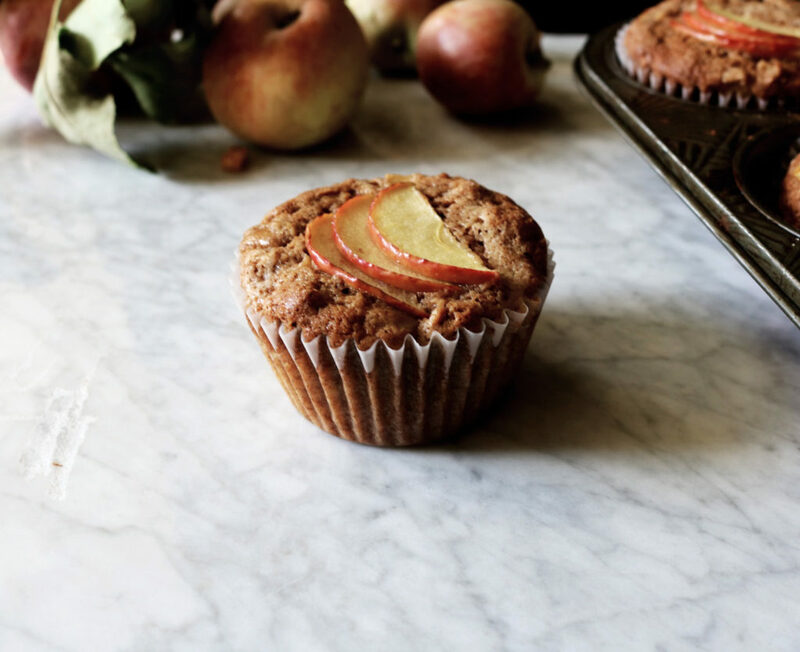 Be sure to tag me @displacedhousewife #displacedhousewife so I can see your apple cinnamon muffins!! This recipe was also created during my Late Summer Back Episode of 2016…I must have been craving apples is all I can think of??? That hand up in the very top photo is Gavin’s…I die. So cute. Love those little hands. Sending you lots of love and good vibes!!! Made these as mini muffins for my son’s kindergarten class for his snack day. Big hit! Thanks! I’m sure these muffins are exactly what he had in mind! ;) Try hyaluronic acid or turmeric, and then keep on keeping on with the muffins! These muffins are gorgeous! Love the buttermilk and sour cream in there! These muffins look so yummy! 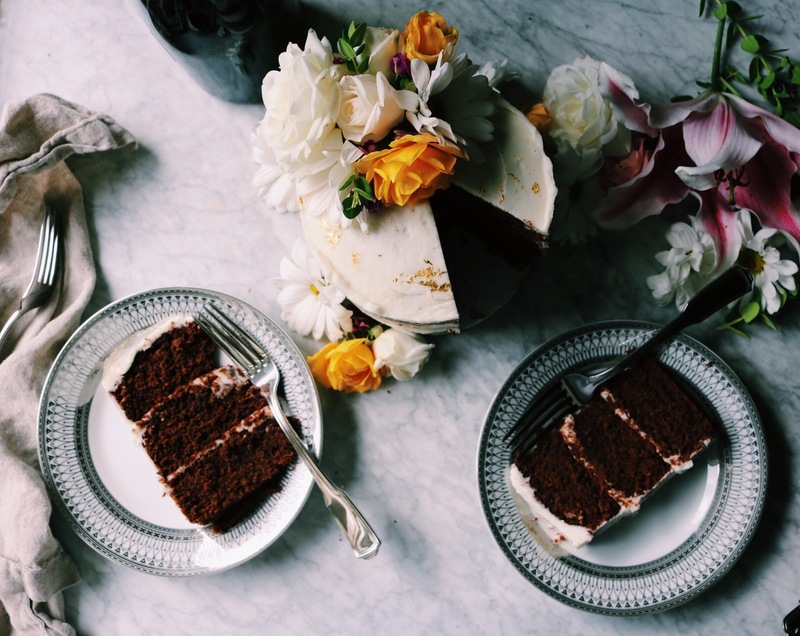 I would love to pair one with a chai latte for an afternoon snack! Wish I could have smelled these cooking!! You’d have to kick me out of your kitchen cause I’d never want to leave!! How lucky are you that you’ve got apples trees right in your yard. Thanks for sharing and Happy Hump Day! Why was he trying to get you to go vegan!? These babies are beautiful. Love the way you put the apple slices on top! simply the perfect fall bite. i want to grab one right out of the oven and wash it down with some mulled cider. i’m sure the buttermilk/sour cream combo makes these divine.